Your gift will fund life-changing seizure detection devices for families in need. 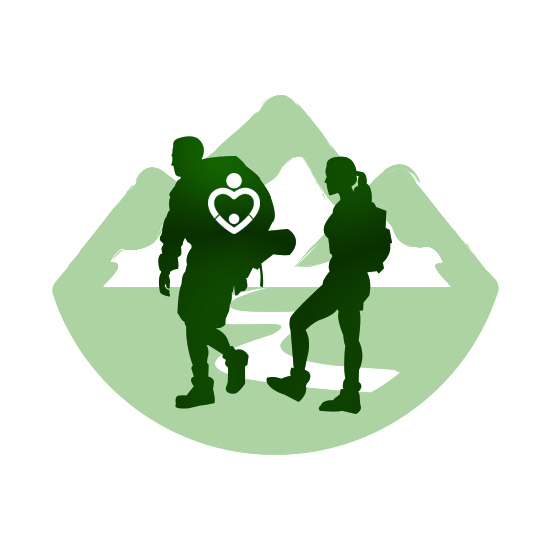 Hiking 4 months in the woods...we will need your support! Joe Vlasek and Erin McShea are bound for another adventure, and this time for a great cause. This year we've decided to tackle the Appalachian Trail. 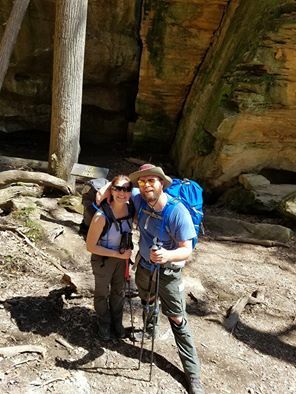 The trail has been a major challenge that we have wanted to accomplish , and considering both of us have the opportunity to go for it….why not?! We will be starting in the mountains of Maine, hiking through the mud season in Vermont, swatting mosquitoes (and other things) in New Jersey, and trekking 500 miles in Virginia, chimney tops in the Smokey's, all while seeking the beautiful views in Carolina. We welcome all and anyone that would like to meet us along the way! We will be tracking our adventure through this Facebook Page with continuing updates; you will know where we are as we go! Other than this ridiculous challenge being on our bucket list, we are doing this special hike on the Appalachian Trail to raise awareness for Epilepsy, and to honor my siblings who both suffer from a seizure disorder. My sister, Kristin has had Epilepsy for 12 years and my brother, Justin, has suffered with Epilepsy for 6 years. Kristin and Justin have figured out how to live daily with this condition and also turn it into a positive by working with the Danny Did Foundation and being on their Young Professional Board. This Foundation focuses on Epilepsy Awareness and raising money for families to receive devices that will help detect seizures quicker and alarm their loved ones immediately if they are having a seizure. All of the funds raised during our journey will benefit the Danny Did Foundation, and will provide seizure detection devices that go to families all over the world. Check out the Danny Did Foundation's website: www.dannydid.org for more information. Throughout our adventure we will be posting photos, videos and updates to the Facebook page so that you can follow our journey and help support our cause by raising money and spreading epilepsy awareness. Any suggested donation is greatly appreciatead and will help us get to our goal which is to help 5 families affected by epilepsy to receive these seizure devices. UPDATE: After hiking 800 miles across six states and 13 (!) mountain peaks, Erin and Joe have returned safely to Chicago. They spent 75 days and nights in the great outdoors as a show of love for Erin's siblings. Their incredible physical feat is over for now, but their goal to reach $8,000 - or $10 per mile - carries on as friends and strangers alike learn of their story and give generously to this campaign. Please help Erin and Joe hit their mark as a show of gratitude for all they have done! Epilepsy affects nearly 3 million people in the United States and 65 million people worldwide. One in 26 Americans will develop epilepsy during their lifetime. Seizures can be fatal – more people die as a result of seizures than from fires and sudden infant death syndrome (SIDS) combined – and thousands of deaths occur annually from SUDEP, status epilepticus (prolonged seizures) and other seizure-related causes such as drowning and other accidents. SUDEP is described by the National Institutes of Health as the most common epilepsy-related cause of death. Founded in 2010 by Chicagoans Mike and Mariann Stanton after the sudden death of their four-year-old son Danny, the Danny Did Foundation's primary mission is to prevent deaths caused by seizures. The organization's name originates from the last line of Danny Stanton's obituary, written by his dad: "Please go and enjoy your life. Danny did." To learn more, visit www.dannydid.org. Thank you so much for your dedication to raising money for the Danny Did Fiundation. You both are amazing!! in appreciation of your dedication to a worthwhile cause along with helping my daughter find a home. I admire your stamina. Thank you. Good luck in reaching your goal and thank you!!! Always there to support the McShea clan. In honor of my son FunGuy (Pondy) who's also thru-hiking and in memory of his brother Andrew who had epilepsy. Thanks for what you're doing! Erin and Joe: Erin's parents have kept us updated on this amazing journey. Good luck and safe travels! Good luck. Take good care of your feet. You only get two of them. Thinking about you guys, good luck!! Erin & Joe- What an awesome adventure you've embarked on for an incredible cause. Good luck, be safe, and enjoy the journey! See you in a few months! Good luck you two! Much love from Dan, Kelli, and Nathan. It is one thing to have a fundraiser for a cause, but to hike 2,190 miles to bring awareness as well is just heartwarming and remarkable. Good luck! Erin, you and Joe are awesome! Be safe and strong! Hope you can share your adventures with pictures and tales as you walk the Appalachian Trail! I would wish you guys luck for the long summer hike, but you won't need it. More like the hike needs it. Stay safe and have fun! Good Luck! We will miss you. Be safe! May the road rise up to meet you and the wind be always at your back.